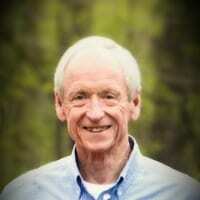 Michael Jarrard, age 64, of Dahlonega went home to be with the Lord while surrounded by his loving family on Thursday, November 1, 2018. Michael was preceded in death by his granddaughter Chandra Reece Jarrard and his father LJ Jarrard. He was married for 41 years to Terri Jarrard, whom he completely loved and utterly adored. They spent those years devoted to the happiness of the other, and their love remains a testament to the truest of partnerships—a manifestation of two souls who found their mates. Out of that love came two beautiful children, who took the love from which they came and grew families of their own. Michael retired from Amicalola EMC after bringing literal light to our lives for 34 years. But the light Michael brought this world was something far greater than mere electricity. He was a deacon at Oak Grove Baptist Church where he spent his time serving the church family he loved so much. And that love extended outside those walls. He loved people, loved being surrounded by them. Regardless of the occasion, Michael was, more often than not, the first one there and very likely the last to leave. Sometimes, he did the coming and going in his beloved ’67 Chevy Chevelle—the man and his car making quite a picture. Though perhaps Michael was happiest when spending time with his grandchildren. He cherished each one of them, and they gave his heart the purest of joys. Now that Michael has gone, it feels as though the world has gone dark. But just as Michael spent much of his life restoring light to our homes, his memory and the love he left behind will once more bring his light back into our hearts. And with that, the very best of him isn’t gone at all. He’s still here with us, shining as bright as the stars. In addition to his wife Michael is survived by his daughter and son in law Jessica and Shane Smith; son and daughter in law Jonathan and Amber Jarrard; grandchildren Jessie Smith, Luke Smith, Jet Jarrard, and Laken Jarrard, all of Dahlonega; mother Betty Jean Jarrard, Dahlonega; twin brother and sister in law Mickel and Cindy Jarrard, Dahlonega; brother Marty Jarrard, Dahlonega; sister and brother in law Sherry and George Murphy, Pendergrass; and sister Carol Meeks, Dahlonega. Funeral services are scheduled for 2:00 PM Sunday, November 4, 2018 at the chapel of Anderson-Underwood Funeral Home. The Rev. Shane Wehunt, the Rev. Lyman Caldwell, and the Rev. Paul Shadburn will officiate. Interment will follow in Oak Grove Baptist Church Cemetery with the Rev. Kris Butler officiating. The family will receive friends Saturday from 11:00 AM to 4:00 PM and 7:00 PM to 9:00PM at the funeral home. To share a memory of Michael or a condolence with the family visit andersonunderwood.com.